New way to relieve sore muscles, reduce pain. 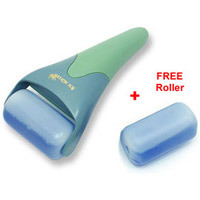 This portable ice face roller is lightweight and easy to use. No more wires, no batteries, and no messy attachments with this amazing ice face roller. A portable cooling device that you can use anytime to relieve pain.